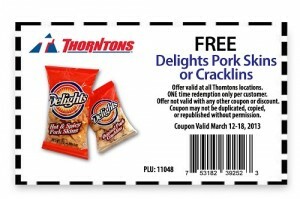 Get free Delights Pork Skins Or Cracklins at Thorntons stores. Like the Facebook page then go to “Coupon” tab. Print the coupon online and present it to participating Thorntons stores. 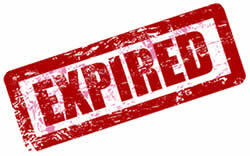 Coupon is valid until March 18, 2013.